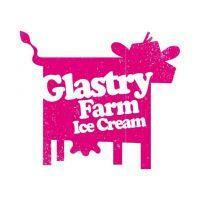 Glastry Farm are producers of luxury dairy ice cream and dairy free sorbets. Fifth generation farmer Will and his family have been producing this range since 2007. The most premium milk produced from the award winning pedigree dairy cows is used to create this luxury ice cream fresh on the farm. You won’t find any artificial colours or flavourings throughout the Glastry Farm range, they only use real ingredients! The range is batch-produced and made the traditional way in the farms modern creamery to give a quality product like no other. Their products are vegetarian, egg and nut free, and a wide selection is gluten free, with their sorbets being suitable for vegans. Glastry Farm aim to supply retailers, food service and customers with the best quality products and this has been reflected in the numerous awards. Their 2015 Double Great Taste Award for the Ling Heather Honey Ice Cream was described by the judges as ‘the right amount of sweetness and quality, WOW!’ It truly is Super Duper Ice Cream! Available on their website at www.glastryfarm.com. Check at their web-site www.glastryfarm.com there are too many to list!